Wth...... i hate this lobby! I am literally upset RIGHT NOW. THE LAG IN QUICK PLAY was so HORRIBLE that it CRASHED MY COMPUTER!!! 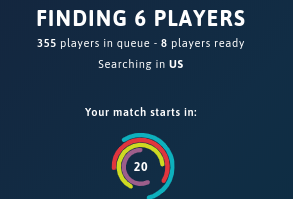 There were too many players in the queue (also known as the line) and it pretty much went downhill after clicking quick play.